People from the neighborhood and beyond come here to fish. Once, in a particularly dry spell, when the Florida Wildlife Bureau had issued a bulletin about alligators wandering in search of food, I stopped to tell a fisherman about the big gator I saw the evening before, having to drag my dog at breakneck speed up a hill as the gator plunged toward us from across the tidal creek. Not to be outdone, he shrugged, "Oh, you must mean that twelve-footer I saw this morning. He tried to take a bite out of my boat, but I cranked the motor just in time." 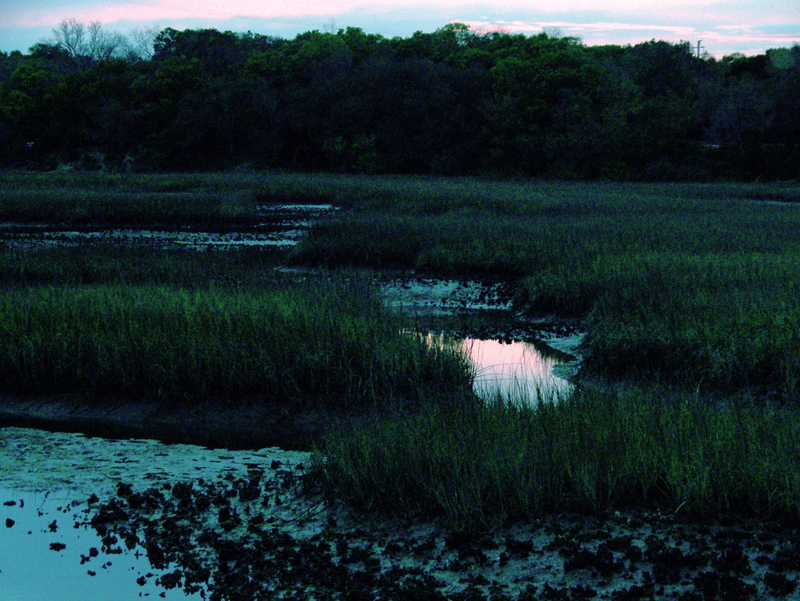 There is much drama that goes on in the marsh, with red wings patrolling its edges, possums and raccoons hunting by night, and more that a landlubber cannot know. 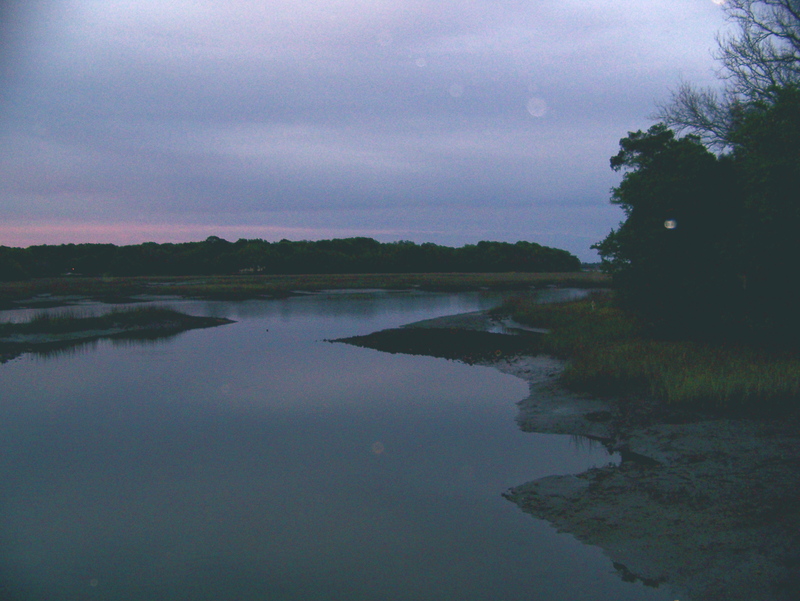 But to me the marsh is my river of dreams, a pathway to the sun and stars, a magician with color and light. These late spring days (In Florida April is practically summer), intensely blue asters are painting the water's edge, the green of grass and reed so sharp that it feels the earth is ready to blossom like the landscape of a cartoon. Or a grand canvas by an artist more accomplished than any yet seen. No, that last is hyperbole. 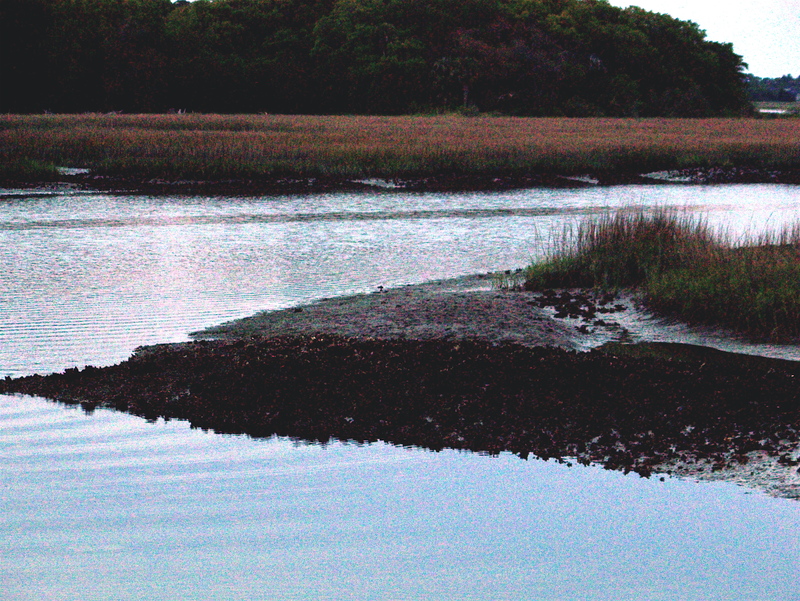 Monet could paint the early-day marsh in spring. Perhaps Cezanne for sunset. O'Keefe would find the motion in the stillness. But no one painter could do it all. 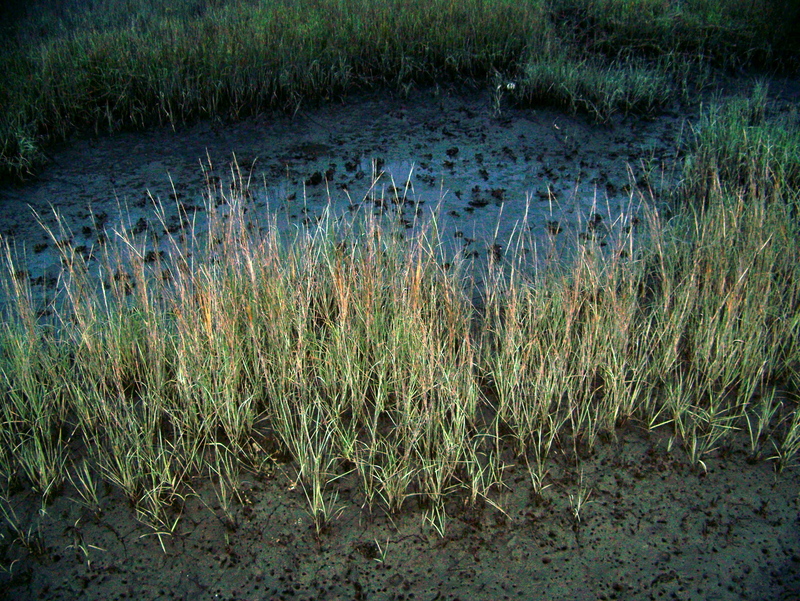 That's why, perhaps, Florida has so many painters of marsh light. What a challenge to capture its many moods.